The Keighley & Worth Valley Railway Line was built in 1867 by local mill owners. British Rail closed the branch in 1962. 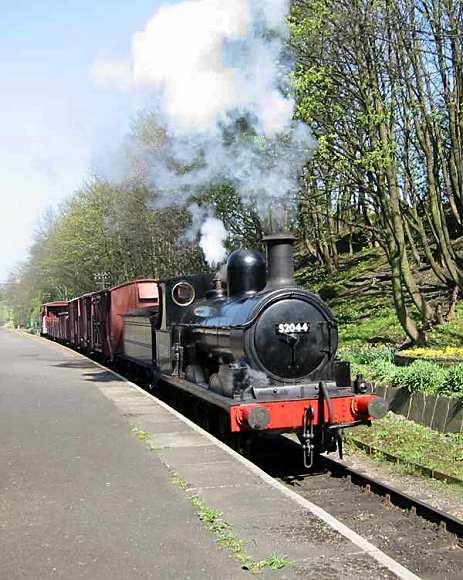 The Line reopened in 1968 and has been owned, operated and managed entirely by volunteer members of the Keighley & Worth Valley Preservation Society ever since. The Railway Children, 1969/1970 EMI production starring Jenny Agutter considered to be the best produced film of E Nesbit's story, was filmed at the railway. 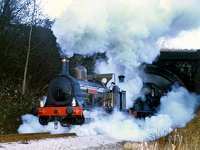 Most of the filming was done at Oakworth Station. One of the locations used in the film was Mytholmes Tunnel, for the paper chase and landslide scene. The tunnel is 75 yards long but was not long enough for the film so a temporary extension to the tunnel was made using canvas covers. Take a 360 degree view Steam engine leaving Mytholmes tunnel Haworth here... Short video clip at same spot of a double header pulling the santa special here... The video clip is 340 kb's and will take about 1½ min - 3min on a 56k modem, you will need flash. The KWVR have recently restored locomotive 52044 which starred as the "Green Dragon" in the 1969/1970 EMI film The Railway Children. Forgotten how a steam train sounds? 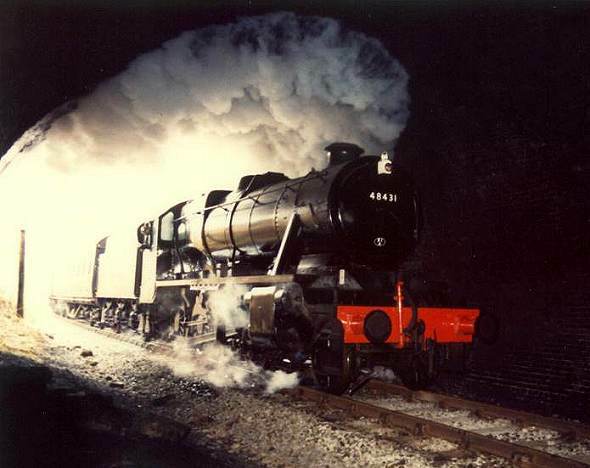 Short video clip of 41241 heading for Oakworth station here... The video clip is 220 kb's and will take about 1½ min - 3min on a 56k modem, you will need flash. Bellerophon (picture right) the oldest locomotive on the Keighley and Worth Valley Railway, was built in 1874. The name comes from the Greek hero Bellerophon, who slew the monster Chimaera with his arrows.